Clean water for children. For Families. For life. When it comes to clean water facts show our three-step approach improves health, boosts the economy, and ensures that more kids stay in school. We partner with local organizations to make our program and materials accessible to communities all over Uganda and Kenya. Together with schools, churches, businesses and other clean water champions, WaterSchool’s proven three-step approach has impacted over 750,000 people since 2007. Solar Disinfection - otherwise known as SODIS - is a simple and sustainable water purification technique that harnesses the sun’s UV rays. By filling up a plastic bottle with dirty water and leaving it in direct sunlight for a day (or under cloudy skies for two days), the SODIS method destroys 99.9% of bacteria and pathogens. Simply put, SODIS turns contaminated water into clean drinking water. 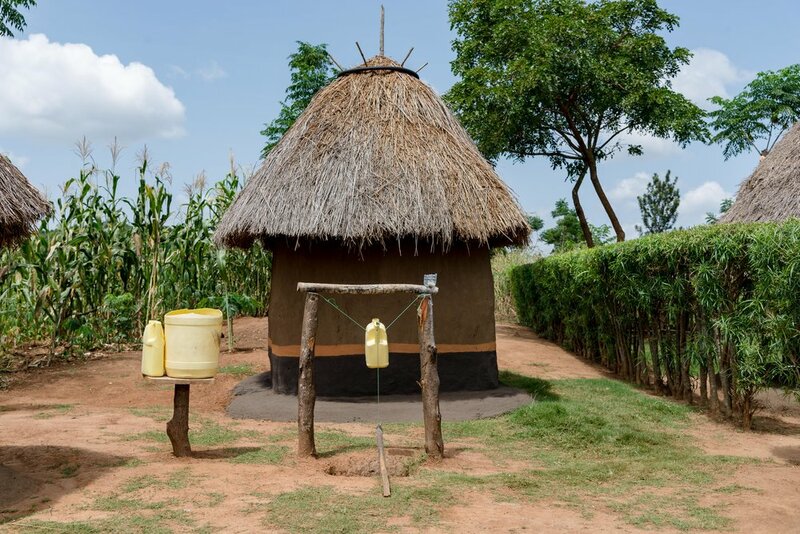 Because SODIS is the cornerstone of our program, we have improved accessibility to clean water for thousands of people without drilling any new water wells in Africa or building complicated infrastructure. Concerned about the plastic bottles? So are we. We reuse and recycle as much as possible. Learn more about our SODIS sustainability practices. WaterSchool champions learn to build latrines at home and how to effectively clean up waste in and around their homes and schools. They also build Tippy Taps: hand-washing stations built from a plastic jerry can and sticks. We have seen that providing communities with sanitation techniques can increase school attendance by over 23% because kids aren't out sick or walking for water. We go back to the basics and provide training in hand-washing, how to clean food before consumption, and more. We know that when people have access to clean water and are staying healthy because of their hygiene practices, they have more time and money to invest in small businesses, farming and other activities that drive their communities’ and countries’ economies forward. Download the educational resources we use with our partner communities.